Hazel Park -- It’s unlike any show on earth: European circus meets a great American tradition that began in Detroit: The Moslem Shrine Circus. And it wouldn’t be a great circus without the Wallendas. 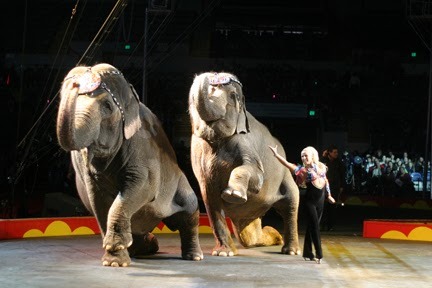 The Shrine Circus comes to the Hazel Park Raceway from Thursday, March 27-Sunday, March 30, with three shows most days. Rick Wallenda, eldest grandson of Karl Wallenda, returns with “The World Famous Wallendas.” Wallenda will present a contemporary group of high wire walkers. 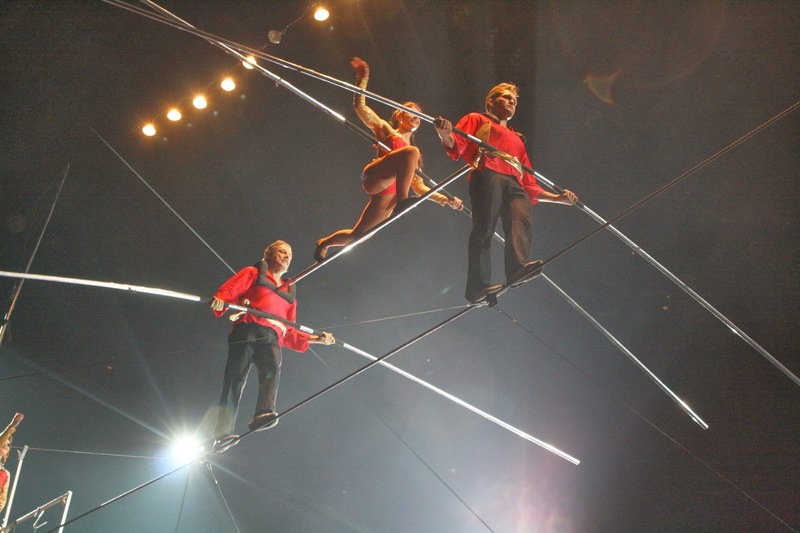 As the patriarch of the Wallenda family, Wallenda leads this troupe, while introducing young talent into the family tradition. New at this year’s Shrine circus is Jeurgen and Judit Nerger’s tigers. 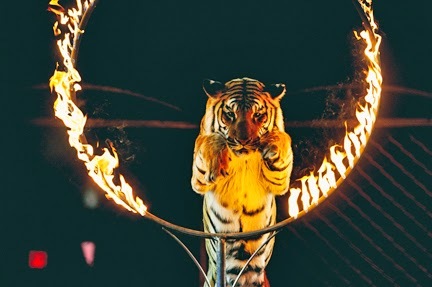 They have over 30 years of experience working with tigers and bears in Europe, honing their craft under the great animal trainers of Germany, Austria, Poland, and Face. They’ve appeared for many years in the German State Circus. They won first prize in the 1996 French Massy Circus Festival. Robert and Gabriella Zerbini return to the Shrine Circus this year with a new act showcasing sword balancing and juggling. Gabriella, a native of Mexico, won the gold medal at the International Circus Competition in Mexico City for her trapeze artistry. Also new this year is the Dragomir troupe, established in Bucharest, Romania. This high-flying teeterboard group of eight acrobats feature two gymnasts who are catapulted over five feet in the air. Their show also includes a perch pole act. They placed first int he 2004 Holland Circus Festival, 2nd in the French Massy Circus Festival, and 2nd in Spain’s Mondial Circus Festival. Erika Zerbini, a favorite of the Shrine Circus, returns with her Liberty Horse and Elephant act. Zerbini is known for her compassion for her animals, and her grace in leading them in performance. Keeping it all together and on time is Richard Curtis, a favorite of Detroit audiences. 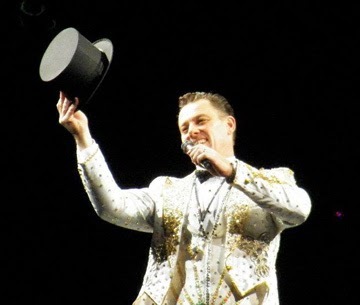 A decorated veteran of the United States Marine Corps, who served in the Persian Gulf War, Curtis is one of the most sought-after ringmasters in North America. Not only is he host for the performance, he is also the performance director and prop boss. In addition to the main attraction, the circus will feature rides on circus animals and a petting zoo. The Moslem Shrine Circus was the first circus sponsored by the Shrine organization, beginning in 1903 in Detroit. It has been a tradition since then, including some of the greatest circus performers in history, including the Great Wallendas, who performed the seven-member high wire pyramid, which collapsed during the 1962 Detroit circus.